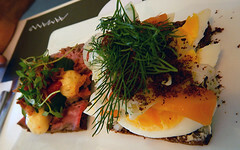 Certainly our visit there exposed us to some different foods we had never tried before. 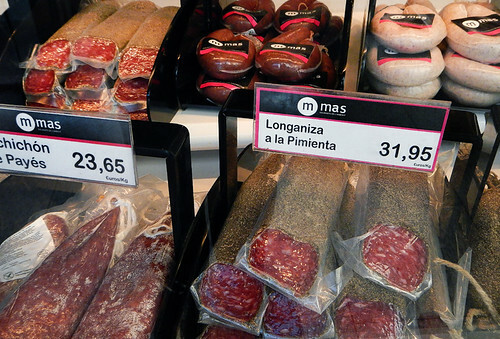 Here are packages of two items: Cocochas and Desmigados, and I have no idea what they are. Carabinero de Huelva (Spanish Great Red Shrimp) and Navaja Gallega which appear to be Razor Clams – both are best grilled ‘a la plancha’. 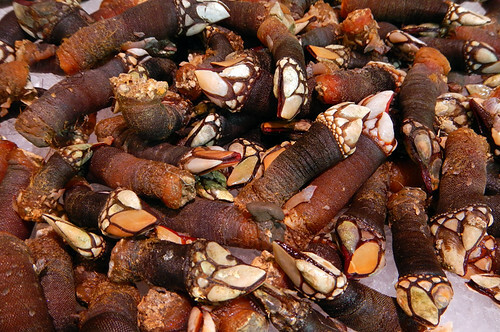 I call them ‘Gooseneck barnacles’ but in Spain they are known as Percebe Gallego. Their description says ‘they live in brusque coast swell areas’. 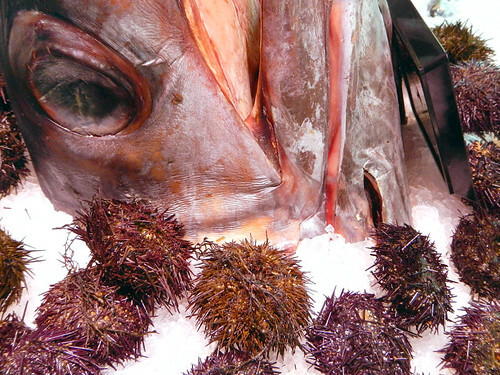 Sea urchins and fish heads for sale. 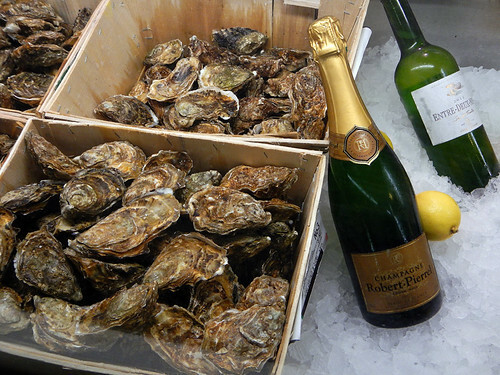 Oysters and Champagne… Then there are the more familiar items although they come in unfamiliar forms with unfamiliar names. 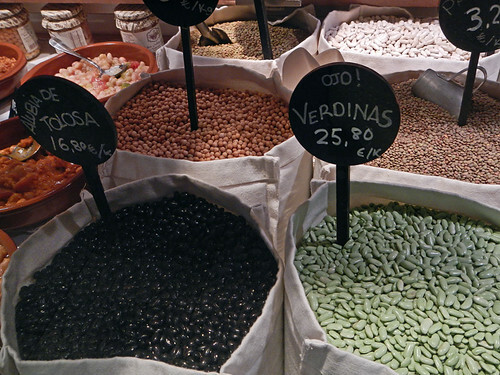 Slabs of cheese… Beans (frijoles in Spanish) but I’ve never seen some of these varieties such as ‘Verdinas’ or ‘Alubia de Tolosa’ Some olive combos that I definitely want to try! 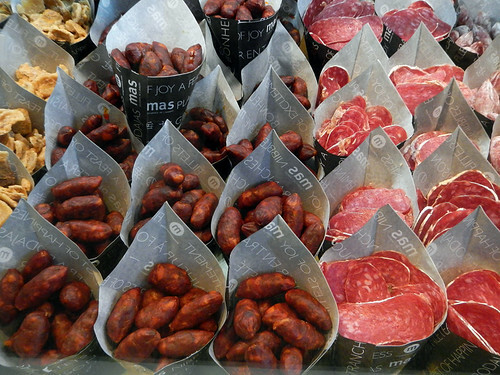 Salamis and salted meats. 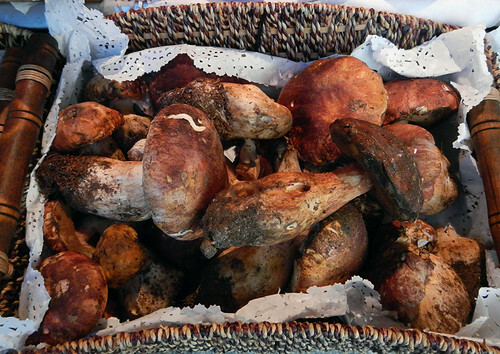 Autumn is wild mushrooms season and they were available in abundance in Spain. 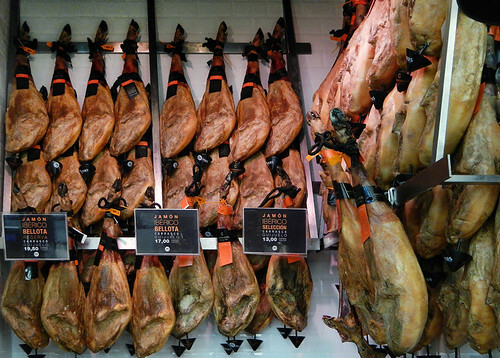 Then there are these giant Jamón Ibéricos – these I know are fabulous. The back story to all this is that lately I have been busy putting together third editions of a series of Spanish textbooks I’ve been working on for years. Each chapter starts with an illustrated dialogue of our characters exploring various parts of the Hispanic world. One of the new dialogues introduces ‘direct object pronouns’ and the easiest way to introduce them is via shopping. 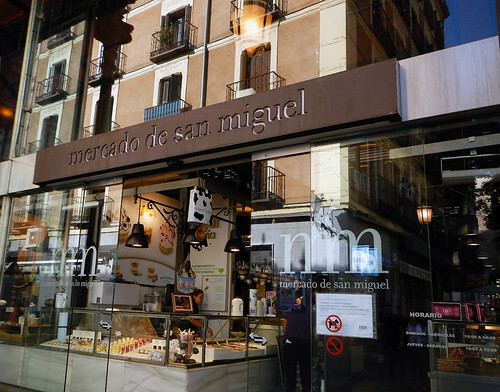 I have placed two characters in the Mercado de San Miguel in Madrid where the chef Miguel is purchasing delicacies for a TV cooking show with the help of his new friend Marcos. 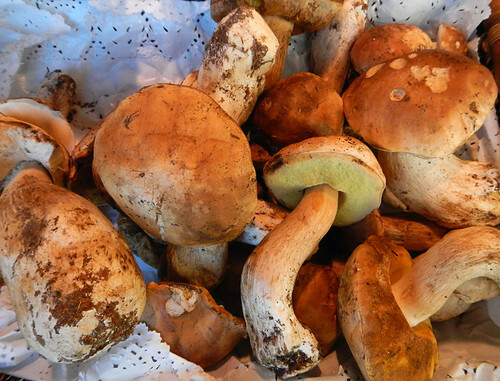 I particularly liked this market because I heard that it was one place where all the chefs shopped, sometimes with a glass of wine in their hands. Being cartoons I can get away with more than although sadly the drawings have to be in black and white! 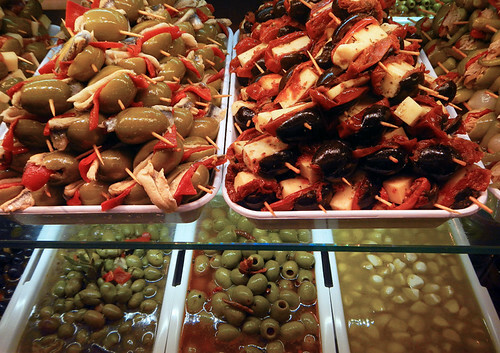 My first visit to Spain: l’ll be there this week and the market looks fantastic! 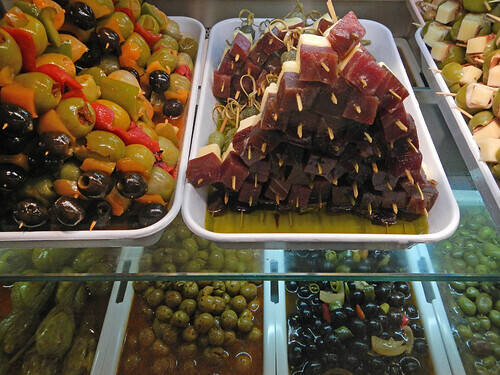 A perfect place to pick up a Spanish picnic!